16, 35, 70 mm or CinemaScope, any length,b/w, silent. Premiere: at the first Hamburger Filmschau, February 16-18th, 1968. 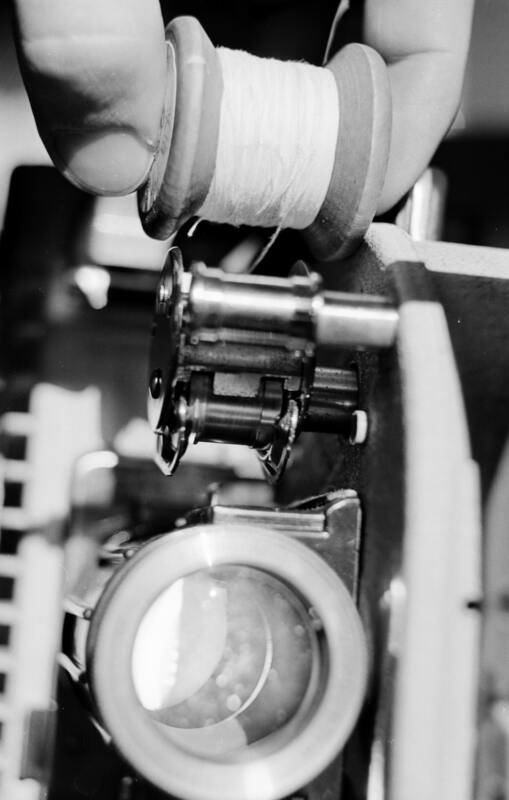 Hans Scheugl’s hamburg special consists of a spool of thread that runs through the projector instead of a film. 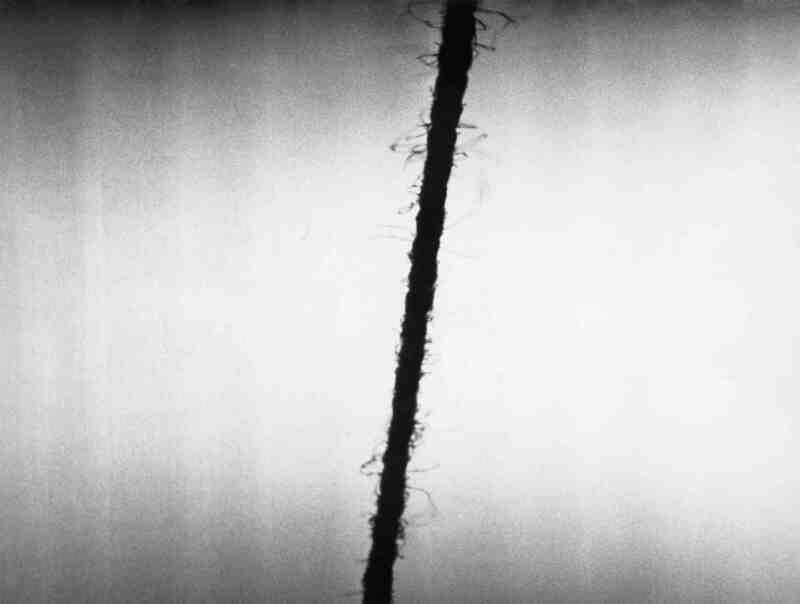 On the bright empty screen appears a vertical line that is moved to both sides by the projectionist. At the Filmschau in Hamburg the thread was moved quickly. The audience was thus brought to the consideration whether the thread was on a film or real. At a screening in Hannover the thread was pulled at only now and then, inviting us to contemplate the beauty of the „fine structure“ of the thread. An essential condition of this intermedium was thereby fulfilled: the creative co-operation of the projectionist. „Die 10 Filme des Jahres / The 10 films of the year“, in: Film 1968, annual of the periodical Film.